You believe in developing good character in your students, but parents aren’t impressed with “fluff.” Teaching good character does not have to be hard to do. It does have to be relevant to students. There are many great character education programs available. 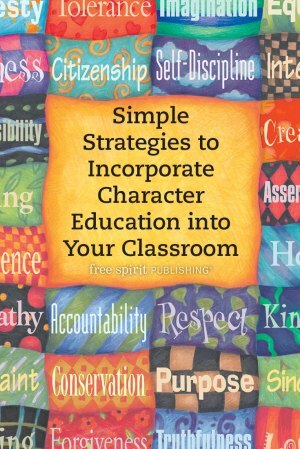 But as a former classroom teacher, I know what worked best for me: Connect character education to your curriculum. It’s that simple. Your students are already acquainted with the topic you are studying. It doesn’t require extra research. Look for connections between curricular topics and good character traits. Here are some examples. What does Newton’s third law of motion have to do with your students’ world today? It sounds remote, but it isn’t. “For every action, there is an equal and opposite reaction.” Can your students connect this law to the way they treat one another? Anger might trigger an angry reaction from someone. Kindness might trigger a kind reaction. Discuss the analogy with your students. What they send out might come back to them. It usually pays to be kind. Here’s another example: Why do trees that grow in low places die sooner than the bristlecone pine tree that grows on high cliffs? On cliffs, there is little water and rough weather. This can lead to a discussion. When we struggle and overcome problems, we can grow stronger. Challenges can develop strength of character. Your students might find examples of people who have overcome obstacles and made great contributions. Suppose you are teaching a lesson on the Roman Empire. What does teaching character have to do with the Roman Empire? How does it connect with today? Hmmm. Some of the problems that led to the decline of the Roman Empire were the lack of unity and endless infighting. Sound familiar? Do we have any similar problems today? Your students can brainstorm ways to develop unity. How much time do students spend on cell phones, tablets, or other electronic devices? How much junk food do people eat? What do you think is the main crime in our area? After collecting their information, students might graph the percentages on a chart. This can lead to discussions of the use of time, how food affects the way you feel and behave, or ways to reduce crime—all of which involve developing good character traits. Discuss how people respond emotionally to different types of music. Are some types better than others for creating a peaceful environment? Do we sometimes want different music to stir people into action? This is an easy one. Students can watch for examples of good sportsmanship. Discuss athletes’ good behavior with students. Hint: Positive examples will do more to develop good behavior than negative ones. If you have the time and flexibility, provide opportunities for your students to get involved with real-life problem-solving and service. These opportunities can connect and extend from your curricular studies. Although these experiences usually involve a larger investment of time, your students will grow more in good character, confidence, and leadership. Each of the examples above could also develop into problem-solving and service. For example, let’s extend Newton’s third law of motion into problem-solving and service. Students could survey classes for examples of their peers’ kind acts and report the acts over the school communication system. They might give speeches during assemblies demonstrating Newton’s law and how it connects to humans. They might create a “Pass It Forward” program. The ideas are endless. I remember well an experience with one of my students. I had watched him perform kind acts every day. One day I told him I had a secret I wanted to share with him. His ears perked up. We both laughed. Humor is a good character trait, too.